Cars:BMWE36 Coupe, Mazda RX7 Feed. As the title suggests, the project started since May 2010, about 7 months down the line and about 60% complete. This is also for all the members of www.datsun-thailand.com since my Thai typing ability is limited i'll post here for the USA crew here as well. So enjoy. i had 5 things in mind for this project. - Retro classic lightweight 620 Truck. - AND FUN to drive! this is the original truck when i frist bought. 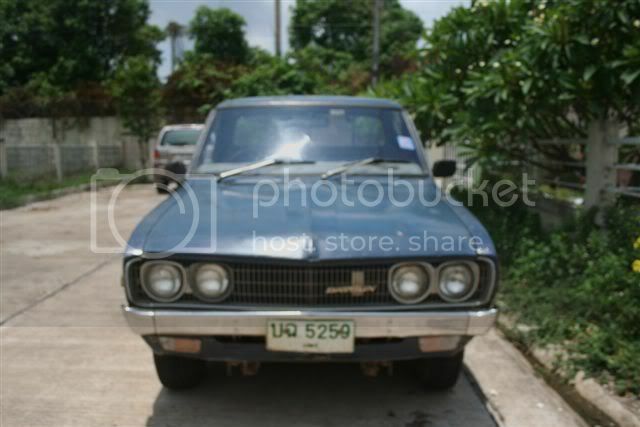 a 1978 (automatic) 620 from a Tobacco worker in the Northern part of Thailand. 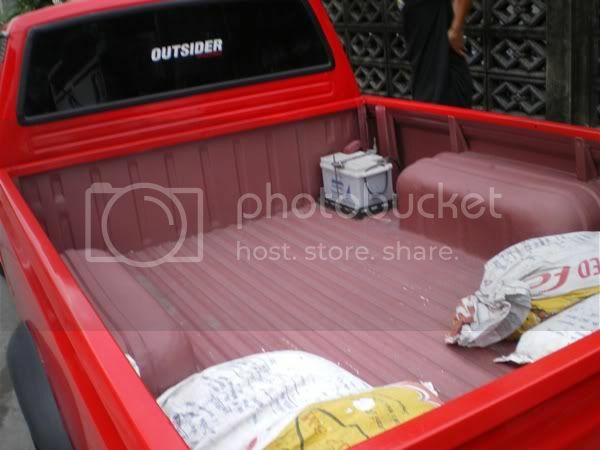 Rust and dents everywhere but still running strong and the guy drove around 800 Km's to deliver to me in Bangkok. funny thing is i got this project started about 6 months before i realised there were so many Datsun lovers around the world. great. i think i have heard someone use a chevy small block on these 620's before. so i'm not just the only crazy guy around here. but we don't have many chev blocks here nor is it popular to due the market where we get stuffs from Japan mainly. so the next best thing is the long dreamed engine that i wanted to put in, the 1UZFE (V8 Four CAM 32 Valve) with a forged crank. roughly around 268 Hp and 286 Lb/Ft of torgue. i always loved the V8 burble of these things. but i'll be using the standard 4 spd auto for comfort. - how the hell will i fit it in! - how will the body handle? - how will the suspension cope? well all mentioned points is solved now after spending a long time scratching my head. but all not over yet. pics coming in a bit. get them loaded first. after a month i almost gave up as it was almost impossible and had to change ideas to using engines like the SR20DE, 3GS, 4AGE, etc etc. but NO, i still wanted N/A V8. so at the end this is the result. a 1UZ in a 620!!?? you have anymore pic of the motor mounts and stuff? the engine is basically a 70cm cube with a front sump. engines from a 1998 Japan Toyota Celsior. had the firewall punched in around 3 inches. all in all, everyone would know by now that the original chassis with the torsion bar will kill me if this thing ever runs at high speeds. so i had some safety concern. 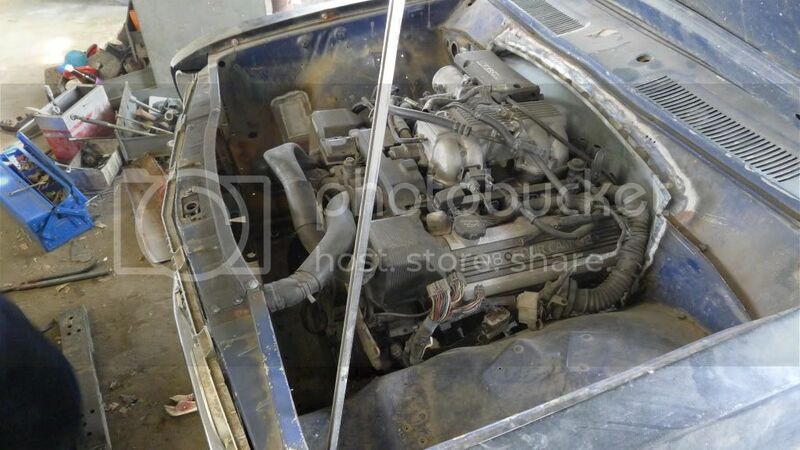 so the pics you see above with the engine, has only the body shell of a 620 , nothing below is of a Datsun anymore. 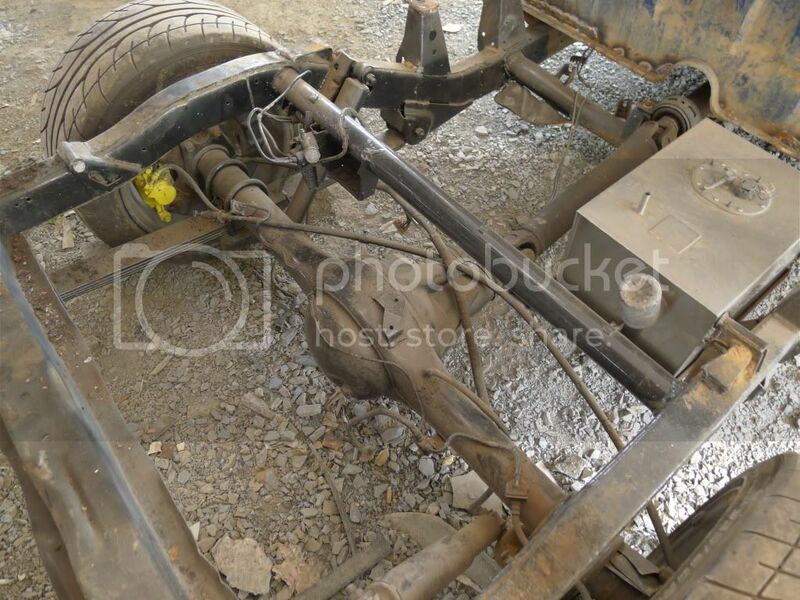 - the Chassis is from a Mitsubishi L200 90's with a front IFS set up and leaf, reason for using this is its the shortest chassis width with 58" and not with Isuzu and Toyota or Nissan, they all got 62" and would create a disproportionate bulge out. most importantly, a coil sprung IFS for speed, comfort, and stability. 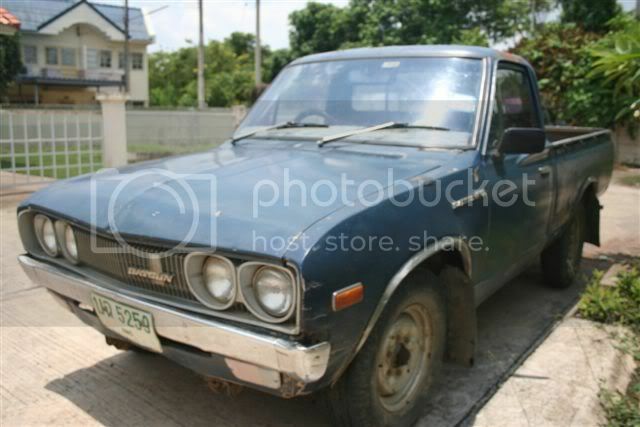 - chassis length shrunk in the middle of about 6" in a "L" wedge to the Datsun's short wheelbase. - new transmission mounts were built. 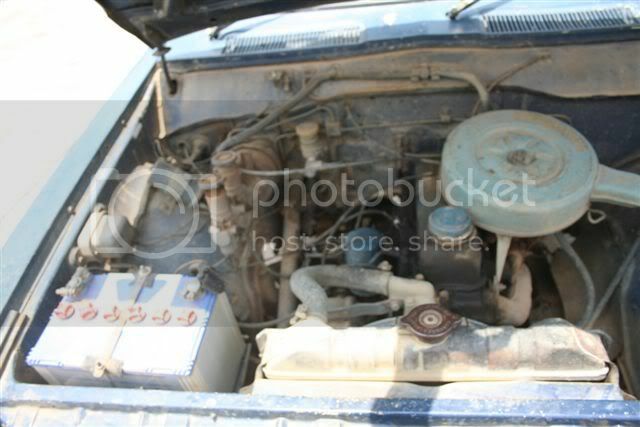 - an Isuzu 3.2 V6 rear axle is used. chose this because it's got a limited slip to control the wheelspin and torque. most importantly, the drive ratio is 12:4:3 = 3.55. so not too high and geared for low rev end speed and not spinning on the spot every kickdown. The toyotas and nissans we have here are mostly 3.9 to 4.5's. i'll be spinning in circles in this truck with this weight and short wheelbase. btw, also had a new stainless steel fuel tank of 15 litres made for the space. i will fit in an LPG tank on the trunk later when its done to cut down fuel cost and put weight on the rear to get the power down. the front sump located just infront of the chassis crossmember and not too low. Sadwatdee Krup, nice to see Thai's here too interested. can meet up for coffee sometime. well, all the Thai side is looking forward to this as well. they all said it was impossible and crazy to say the least. but gave it a long thought and giving it a shot. oh and forgot to mention, the coil springs in the front were cut by 2 inches for the ride height and the wishbone being level. will change to proper springs once complete and running. 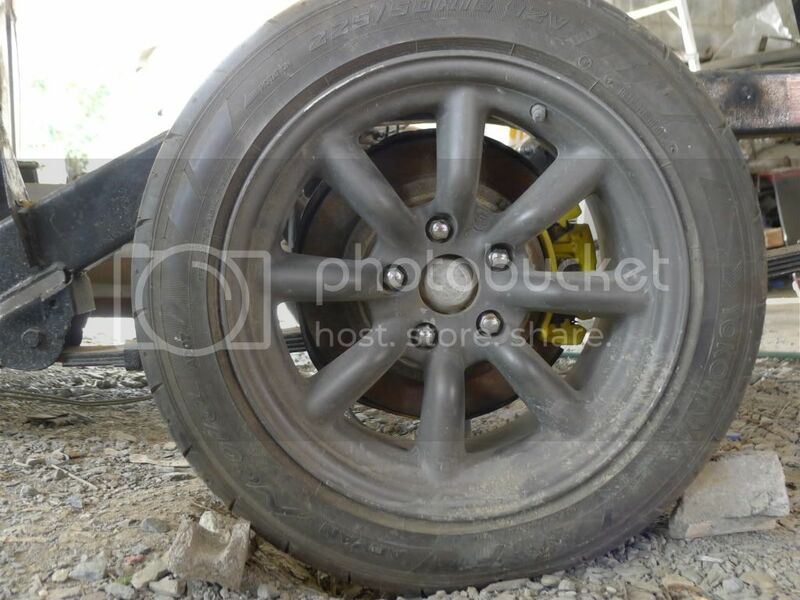 - 1 big 265mm pot brake calipers from the Isuzu are used for the rear. - since the engine is a V, i mounted it as far back as possible for weigth distribution. 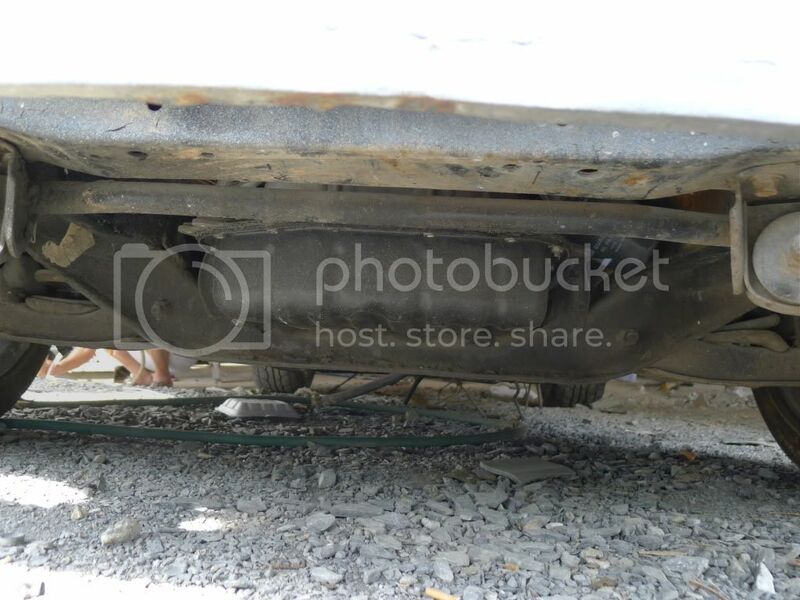 previous pics show that it is about the third cylinder inside where the engine is mounted. so the nose shouldn't be too heavy. well what i had further in mind was a retro body outside, semi hot rot power and a custom interior. out of curiosity, anyone attempted this body with this engine before or am i the only one? would be nice to know so we can share some ideas. 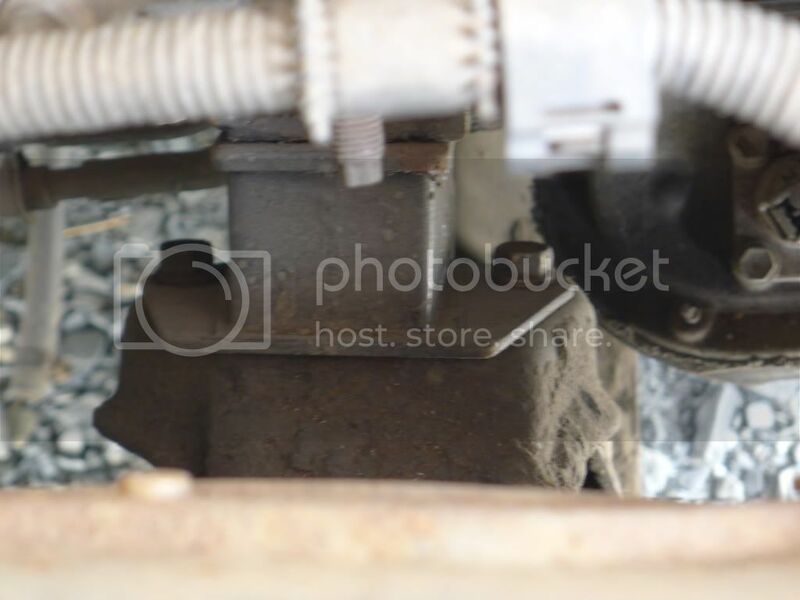 posted the engine mount for you. sorry about the dirty pics as the workplace was just a shack. Yeah we have someone who shoved a 280z L6 into a 620. There is also one with a 327 Chevy engine. those engine mounts are super simple.. i like the work! 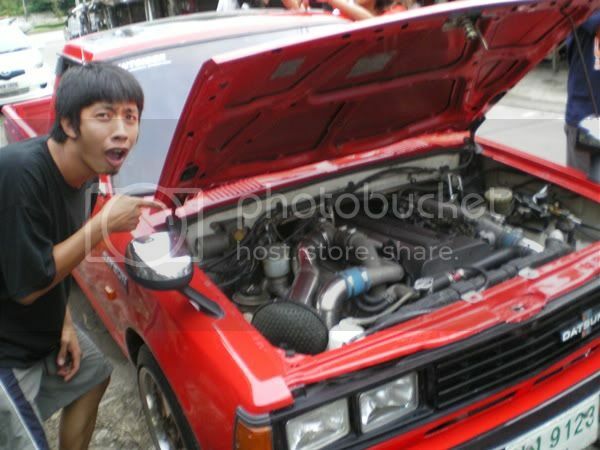 i would love to have a 1uz in the kingcab.. with a 5 speed too... ohhh that would killer..
someone in Thailand here also stuck a L6 but a 1 or 2JZ GE into their 720 Datsun here as well which was successful but it was a bigger body and engine bay. i thought about it as well and also tried from one lying around but it was way heavier than the 1UZ overall, the L6 would also make the nose real heavy. couldn't even think of where to put the radiator and other stuff in there. 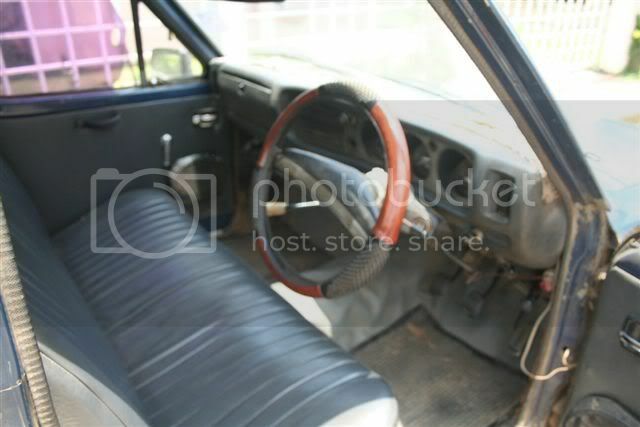 that JZ 720 Datsun needed like 10 sandbags in the truck bed to stop the wheel spinning driving normally. so i fixed to the 1UZ, more Hp and torque N/A form. i even saw a V12 from a BMW 850 lying around the shack but was scared just thinking about it. yes the 327. very clean and pretty that monster. thanks. yes, 1 JZ GE engine, with the sand bags. best thing to fit these retros are old school rims. took me blood and sweat to get these from the 1971 Skyline originally in Japan. 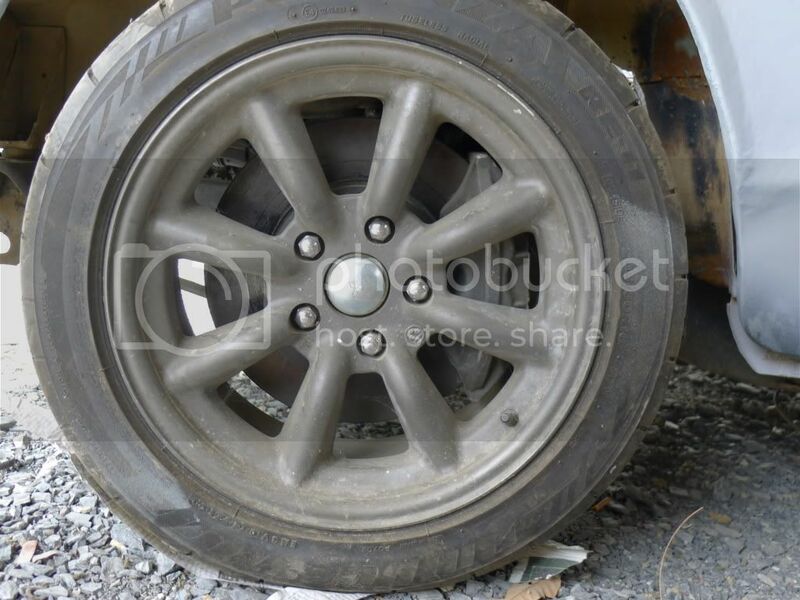 16" Watanabes RS magnesium, some really well balanced wheels i have to admit for their class. btw, had to re-drill the hubs front and back since it was originally 4x4 6 holes. both had to be fitted with 1" spacers as well to clear the wheels even with so much + offset. Fronts are offset 16" +25 on 205/50/16 Bridgstone RE11 tires. i think the brake caliper gap in the front is less than 1.5cm guessed. apologies, the offsets for the wheels are the other way around. :lol: damnnnnnnnnn! you chaps are my heroes! bloody nuts you lot are! the UZ is a killer choice, difficult one though as youve shown! 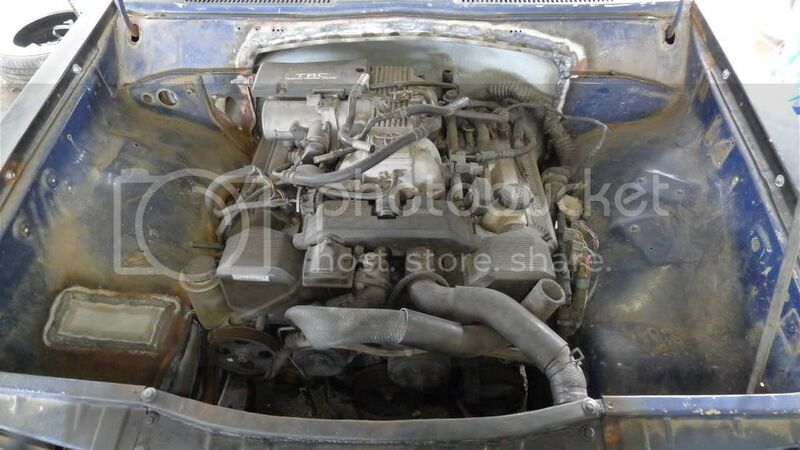 the engine in the 720 is a 1JZGTE ;) GE = NA, looks like it came out of a toyota chaser? makes me smile just hearing you talk of it!